No matter how many neck accessories you have in your kitty, the addition of a statement necklace is all that you need to redefine your ensemble and bring on a lot of comments from friends. Being a versatile craft material paracord can be fashionably used to make some unusual neckpieces, raising your style quotient. 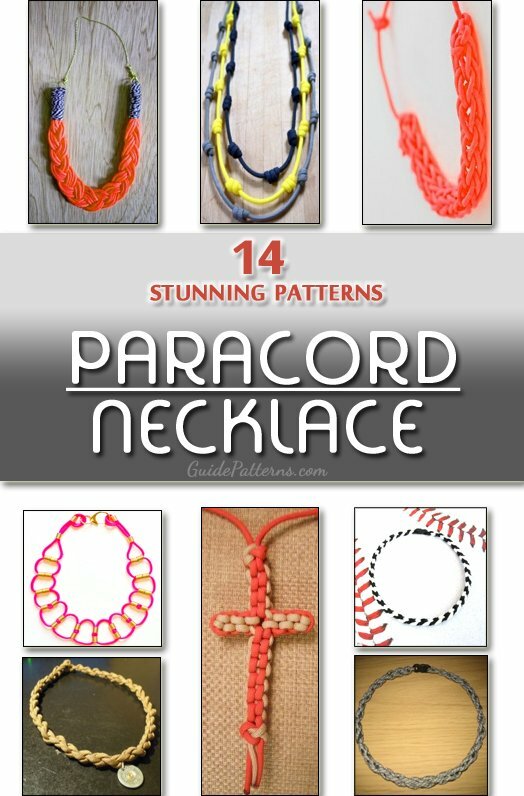 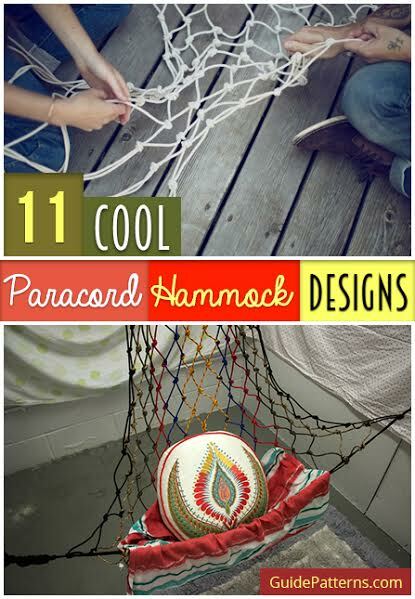 Read on to know more about the different ways to make a gorgeous paracord necklace. 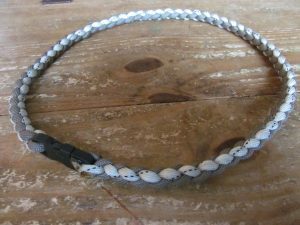 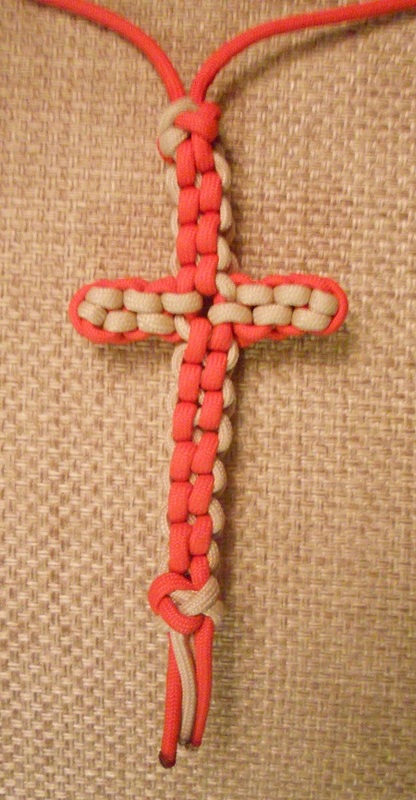 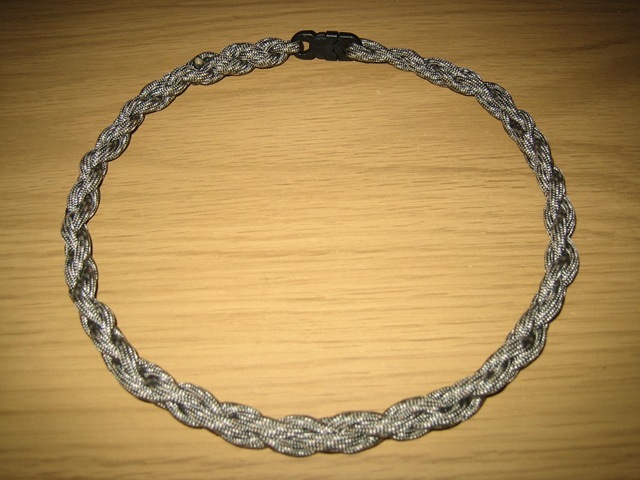 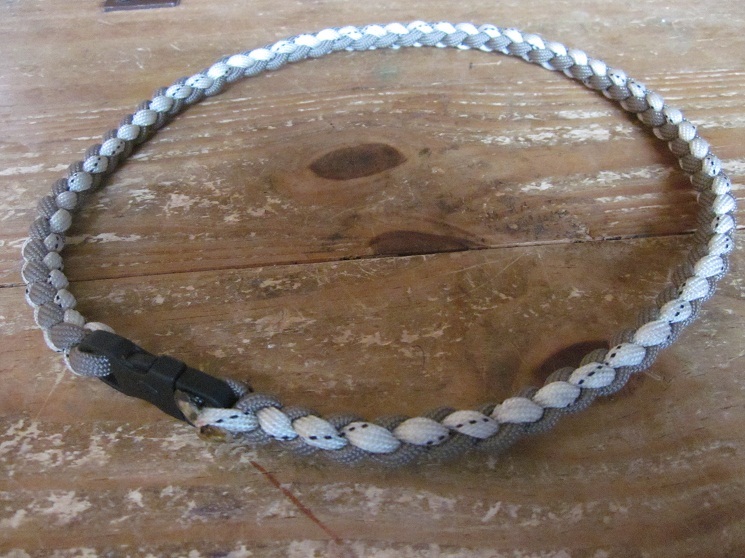 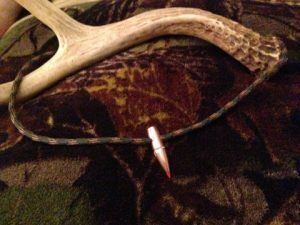 A sturdy necklace created with nylon ropes clasped to a buckle using an innovative knotting technique. 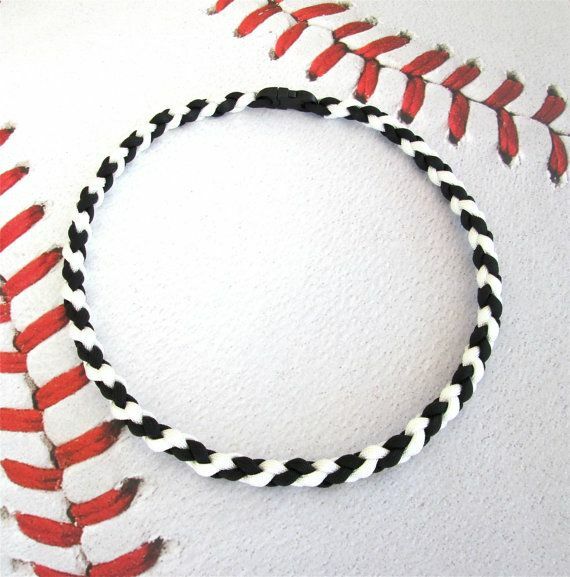 The bulky and stunning necklace is a simple work of braiding a solid-colored paracord with the ends wrapped in checkered strings. 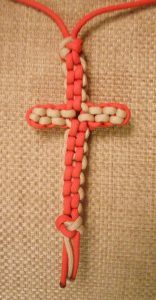 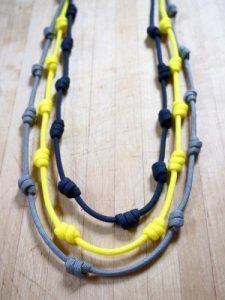 An integration of three different colored parachute cords with Hail Mary knots combined tactfully at the ends to create a boho-chic neckpiece. When paired with the right colors, the paracord necklace looks exotic and incredibly ravishing. 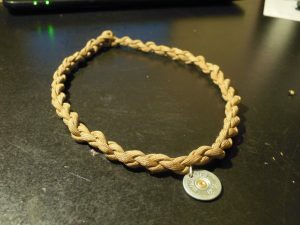 Another paracord pattern with the basic knot components, looking neat and simple. 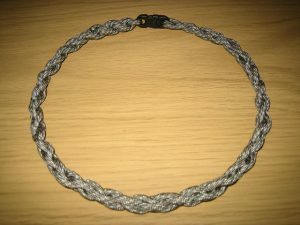 If you remember making the paracord lanyard, then whipping up this offbeat version of paracord necklace will be a cakewalk. 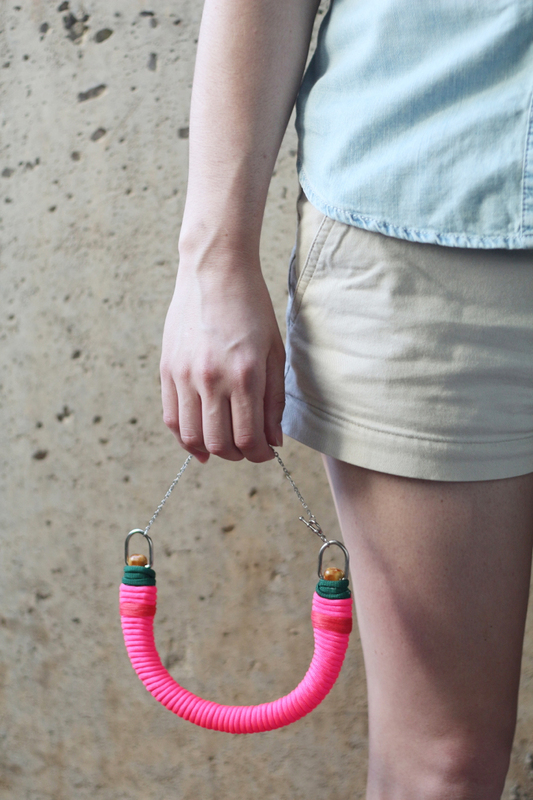 Have you some jump rings, a dismantled purse handle, and a necklace chain? 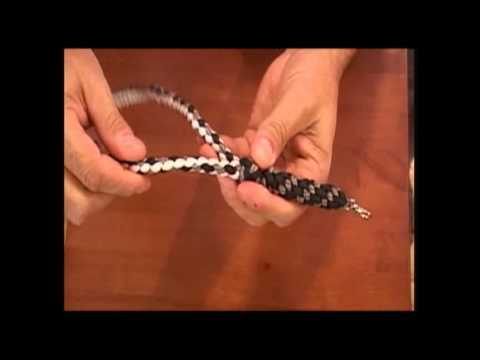 Just fetch some coordinating paracords and get started. 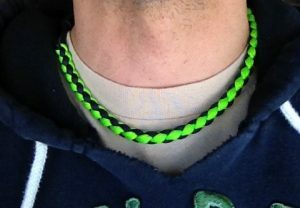 The sparkling pendant turns out to be a winner redefining the look of an otherwise ordinary paracord neck accessory. 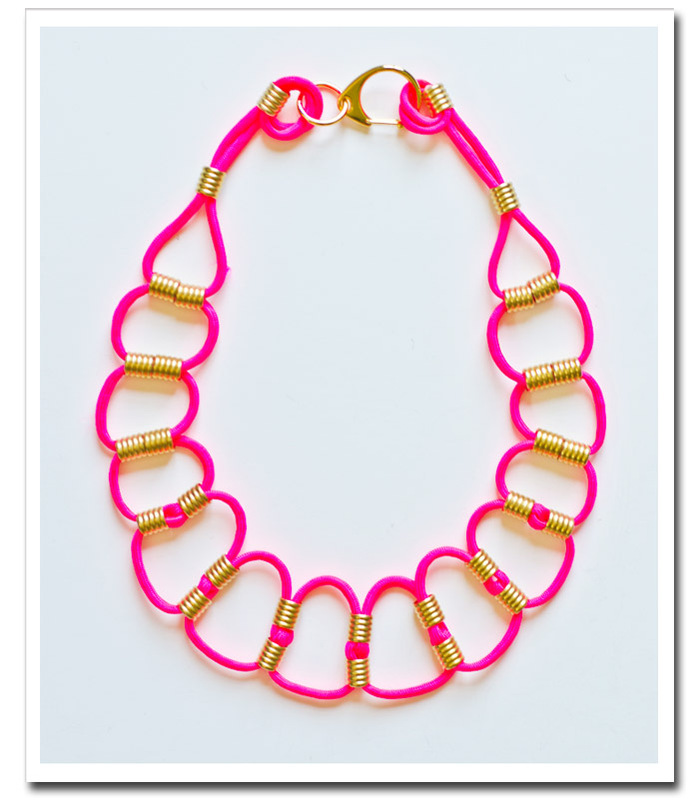 A bold, gorgeous piece worth swooning over again and again for its light color combination that matches with both casual and formal apparels. 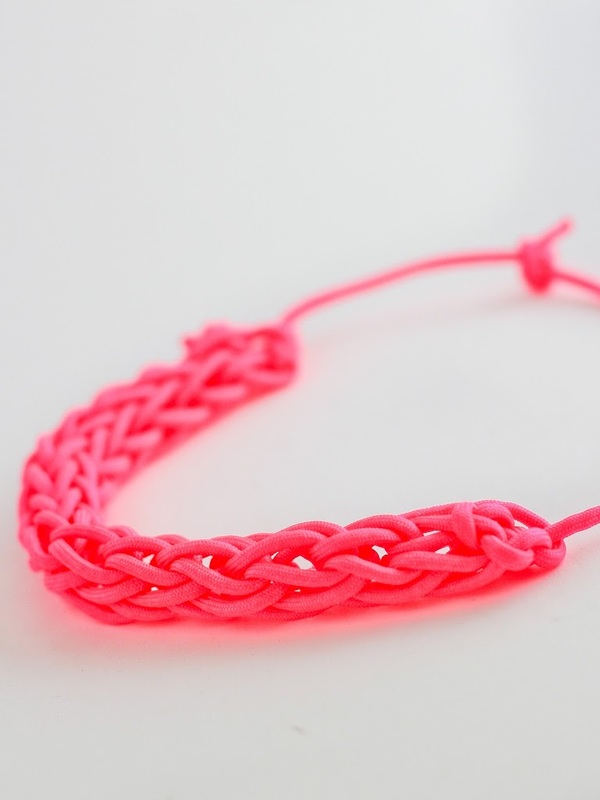 For something more unconventional, you can finger-knit neon paracords to make this one-of-a-kind necklace. 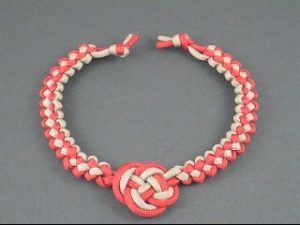 As there is less time to reorganize your wardrobe and accessories for the upcoming holiday parties, throw on this pretty necklace combining a solid-colored paracord and few cylindrical beads and coils. 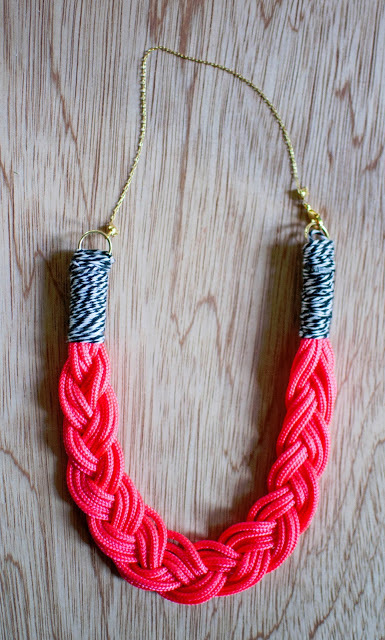 Did any of these necklaces make you go completely awestruck? 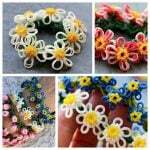 Pick your favorite one to ramp up your outfit that you are planning to put on for a special occasion.